The winter months are fierce in New England, which is exactly how you describe the Winters’ family who live among the wealthy of Long Island. A young lady—an orphan who lost her mother to cancer and her father to a heart attack—works for a belligerent woman named Laureen who rents boats to tourists when they visit the Caribbean. One day, Max Winters enters and a whirlwind romance begins. He’s a rich state senator who lost his wife, Rebekah, in an accident two years ago and is struggling to raise a defiant, spoiled daughter named Dani. She falls hard for Max and finds herself (in less than a month) staring up at the huge Winters’ estate: Asherley. This is the most amazing location this poor woman has ever seen, and she finds it hard to believe that she will soon be the new Mrs. Winters and Asherley will be her home. This girl believes she’s not the “glamorous type” men like Max clamor for. Looking at pictures of Rebekah everywhere, attempting to become friends with Dani who wants no part of her and only speaks about her dead mother, and creeping up to the turret that used to be the bedroom Max and Rebekah shared, she finds herself becoming more obsessed and jealous of the first wife, even though she longer exists. As the wedding draws closer, she uncovers secrets about the night of the accident that took Rebekah’s life. She begins to unravel the mystery of why Max doesn’t want the greenhouse at Asherley to ever be opened again. And…she finds out things about her future stepdaughter that proves Dani is not at fault for all the evil within Asherley’s walls. There’s so much to say about this plot, these characters, and the twists readers will not see coming, but all that can be said is: “Read. This.” The author is superb and the chill you get will take a long time to fade. 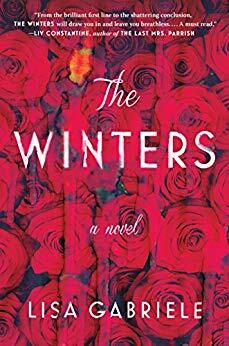 Be the first to comment on "“The Winters” by Lisa Gabriele"